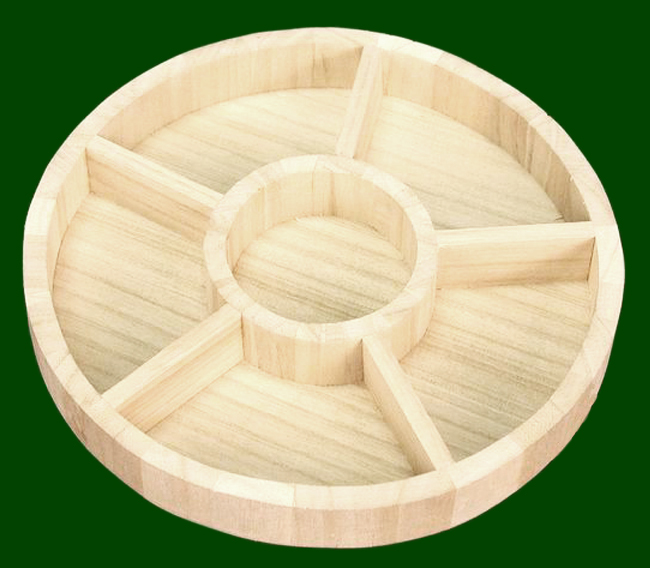 This Balsam wood dived tray measures 9" in diameter, 1" high. It is divided into five sections and a circle in the middle. You can design a star baskets for all occasions. This basket is available in natural only. There is a larger size of the same design. Please click item number F0343 to view it.